After our Manchester Cleanup on 4/21, we will be hosting Climb Right RVA! This two-day FREE event consists of different climbing clinics at Manchester Wall right on the James. 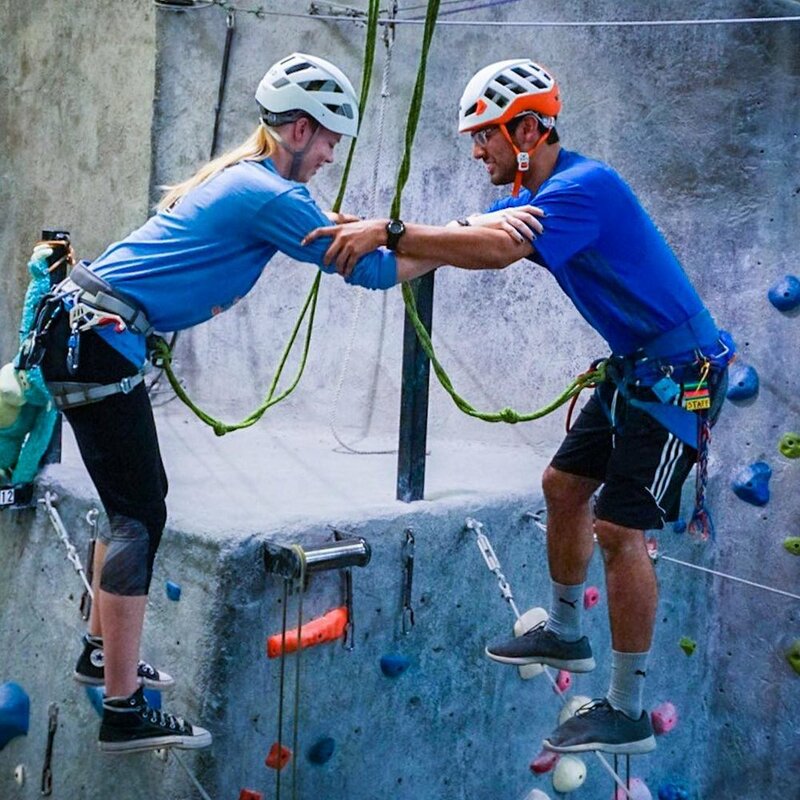 We will have certified guides teaching beginner to advanced clinics on belaying, lead climbing, trad gear, movement, cleaning sport routes, rappelling, self-rescues, and more. There will be gear demos by Sterling, Wild Country, and Evolv as well as local food and drink vendors. The purpose of this event is to help new climbers on sharpening their abilities. Our goal is to help grow a supportive outdoor climbing community while minimizing risk and installing a strong respect for the environment. Sign up if you plan to join us at a certain time, BUT, don't stress if you're not sure. There is no requirement to sign up and the class times are estimated, just show up when you can! *Manchester Wall accessible from T.Tyler Potterfield Memorial Bridge or south side access. Please note: This event is CANCELED! 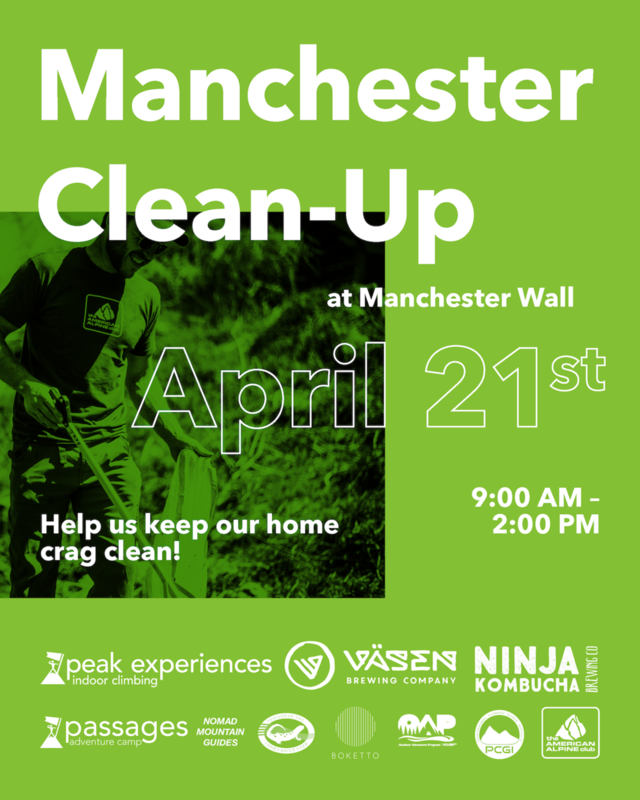 In anticipation of our free Climb Right RVA event April 27th & 28th, we are coordinating a volunteer cleanup of Manchester Wall and the surrounding areas. Come meet Peak and Groundworks RVA from 9am -2pm April 21st. Väsen Brewing and Ninja Kombucha will be there sweating away with us. Wear closed toed shoes Please help out if you can. Join us for the 9th annual Richmond Family Magazine Summer Adventure Expo at Peak Experiences RVA at Sports Center of Richmond (SCOR)! At this long-standing, free, RVA family tradition, you’ll be able to learn more about summer camps from across the region and beyond, and kids ages 5-16 get a FREE climb. There will be games, crafts, live demonstrations, food, and prizes, so mark your calendar and join us on the huge covered outdoor field that you pass on I-95. All the beta you need to climb at and enjoy Seneca, WV. We'll also be hearing from Shelly Rose of Pure Roots Nutrition on specific climbing nutrition. BRB-Designs + Peak Experiences Bag-Collab. We will be starting the data collection part of our gym back-pack design and build the collaboration with BRB-Designs. As always, our good friends at Vasen Brewing (21+) and Ninja Kombucha will be serving up some delicious beverages. FREE for members and guests. We can't wait to see you there! Kurt Smith will be here for an Evolv shoe demo Thursday 3/14. Come try out new styles and if you’re in need of a new pair, all Evolv shoes will be 20% OFF during the demo! Kurt will be bringing samples of Friction Labs chalk too. We hope to see you there! Thursday 3/7 from 7-9pm at PeakRVA our head routesetter Eric Mahan will point you in the right direction on where to climb and what routes you'll want to try while you're there! We'll also be hearing from Shelly Rose of Pure Roots Nutrition on how to fuel our bodies for those long climbing days. All the while of course, enjoying some brews and 'bucha courtesy of our good friends at Vasen Brewing (21+) and Ninja Kombucha. FREE for members and guests. We can't wait to see you there! Winter begins a series of USAC events for open and youth competitors. This past weekend was Bouldering Open Nationals in which Ashima Shiraishi and Sean Bailey were the top finalists. Friday begins Bouldering Youth Nationals where 5 Peak Team members will be vying for first! We wish Del, Nicolas, Paul, Trip, and Tyler the best as they travel out to Oregon. Go Crush! In January, 2019 Combined Invitational in saw two previous Riverrock competitors, Kyrie Condie and Zach Galla, take first place. This event was designed to help identify who will represent the United States in climbing in the upcoming Olympics. Bouldering Open Nationals will be re-broadcast on ESPN 2, Feb. 17. To learn more about USAC Competitions and where to watch events visit usaclimbing.org.